The root problem of all the previous was and still is the clear denial of Scriptural authority. This denial resulted in the ELCA’s August, 2009 Church-wide assembly’s acceptance of a resolution to no longer agree with the clear Biblical norm of marriage by opening “…Ministry to Partnered Gay and Lesbian Lutherans”, as it was reported then. I could no longer stay either in the ELCA or at Good Shepherd without Good Shepherd leaving the ELCA. The leadership balked at the idea of leaving the ELCA. The congregation council also did not want me to stay as their Pastor and asked me to resign within a month of notifying me of their decision. I resigned as their Pastor on February 28th, 2010. About 20 of us realized that we needed to move on including two W and L students, Hannah and ‘E.W’. Many of us attended Good Shepherd/Roanoke which is about a two hour round trip from Lexington beginning on the 1st Sunday in March through the summer. Others tried to stay at Good Shepherd/Lexington. We needed a true Lutheran congregation closer by, but not only for ourselves. In many godly and pastoral conversations with Pr. Beasley of Good Shepherd/Roanoke (LCMS), on Saturday, August 28th, 2010 we began the Mission with the name Lexington Lutheran Mission. It was Saturday because that was the only time Pr. Beasley could come up! Pr. Beasley and the vicar that year, Seminarian James Prothro came up here on Saturdays for the Divine Service. 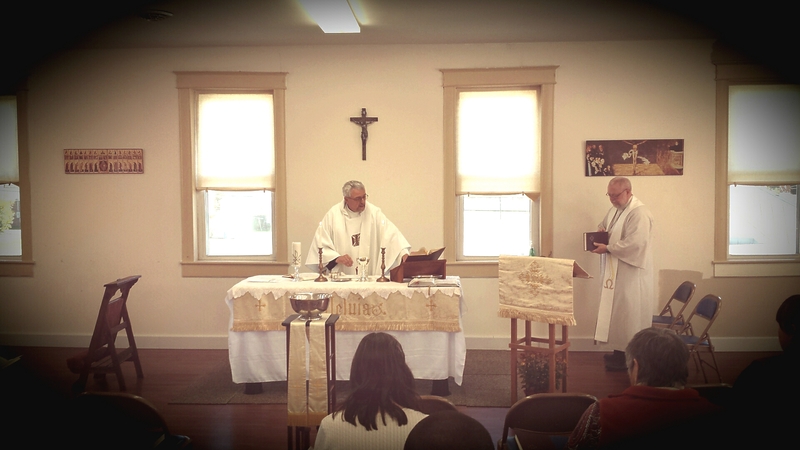 Good Shepherd/Roanoke gave us the hymn books, communion vessels, candlesticks. I happen to have an almost complete set of paraments (altar cloths). We were graciously loaned a room at Grace Presbyterian Church, on Main Street, by their Pastor, Paul Carter and their Session. The day happens to be the Commemoration of St. Augustine. After my resignation, I went through the Colloquy of the LCMS to be accepted as a Pastor. In May, 2010 I had my last interview at the International Center of the LCMS in St. Louis, MO. I was interviewed by three pastors, a Synodical official, the Missouri district president and a professor of homiletics (preaching) at Concordia Seminary, Fort Wayne, IN. I was notified of their affirmative decision. As of June 1st, 2010, I am officially a pastor awaiting a Call in the LCMS. Pr. Beasley, in discussion with the then Southeastern District’s (SED) President, Jon Diefenthaler, the Church Council of Good Shepherd/Roanoke authorized me to be Pastor of Word and Sacrament at the Mission. Good Shepherd Lutheran Church of Roanoke sponsors the Concordia Lutheran Mission. We are now listed by the LCMS and it’s Southeastern District as a mission congregation. Pr. Beasley suggested that the name “Concordia” would easily find as part of the LCMS and so we changed the name. After being authorized as Pastor of Concordia Lutheran Mission, we looked for a place to worship, since Grace Presbyterian was moving into a new sanctuary. The Lord led us to the Rockbridge Main Library on Main Street in Lexington. We met for over 3 years in their Piovano Community Room and the price was right: $15.00 a Sunday! The problem was the difficulty of meeting during the week and since the library did not have storage space, we had to bring our hymn books, Communion vessels, etc. every Sunday. We started looking for rental property. After many dead ends, one day one of our members called me up because he was talking with a fellow retired police officer who rehabbed the old Buena Vista fire station. I went over…the price is right and now we have been there over a year. We have not grown exponentially. We have some new members. In many ways, as my wife pointed out, after losing my full-time income as a pastor, leaving a church body, thinking about the prospect of selling our house, and a mission that is still tenuous, never the less, we have our house and the House of the Lord, His mission is still here after five years and He keeps us in His grace. But by the grace of God, go we! Keep us in your prayers for our calling to preach and teach the Word of the Lord in Rockbridge County. My thanks in the Lord for all the prayer, care, and help that you have provided this past year, actually, longer than that! Almighty God, grant to Your Church Your Holy Spirit and the wisdom which comes down from heaven, that Your Word may not be bound but have free course and be preached to the joy and edifying of Christ’s holy people, that in steadfast faith we may serve You and the confession of Your Name may abide to the end; through Jesus Christ our Lord. Amen. 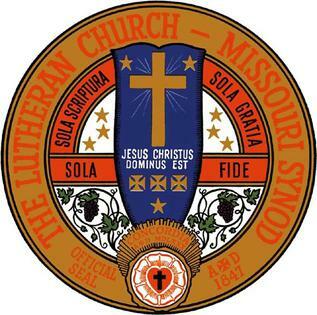 on February 15, 2012 at 11:00 pm | Reply Steadfast Lutherans » Introducing the Rev. Mark Schroeder, another new writer for BJS. Bless you for staying true to the word. I know your journey at times has been disappointing and confusing. Yet the light is there and God answers as questions come. I don’t know how so many things are off track now, but I commend your faithfulness. Know that from the DC area, you and your wife are in my prayers.